CAUTION: VERY DANGEROUS. I would NOT recommend building this kind of burner. This was just an experiment to see if I would like it. USE A Neon Bulb Transformer (NBT) or an Oil Burner Ignition Transformer (OBIT). NBT’s and OBIT’s have higher volts but less amps, which is MUCH SAFER. Additional SAFETY FEATURES SHOULD BE USED WHILE BURNING. This is a short video explaining how to make a Lichtenberg Device using a high voltage or step-up transformer. I said Fractural in the video but I meant fractal. Hi Mr. Porter, the moisture level seem to be okay in my woods. Now I am building the MOT. I have bought a new Microwave transformer with three wires coming out of it. They did not provide any schematics for it and I asked them but they do not have it. On the primary winding, I have my two prongs for the 110 power input and on the secondary two white wires are coming out and going to magenetron on the microwave and I am cutting them and on the secondary one a wire is coming out from a tab and they are all covered and it is red wire and nothing else. I just want to make sure that is the wire that you are talking about. This the link to the one that I have bought. I am sorry for disturbing you. 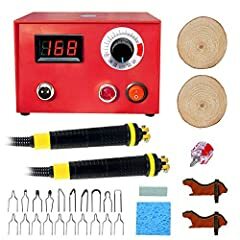 The red wire is hard and it is not like the wire that you had mentioned flexible and I have purchased that wire GTO wire. On my 2nd coil I do not have a tab, how do i go about make the positive cable? thanks to your video, I made my first lichtenberg plank! FYI: Additional safety information here: Make Lichtenberg wood art safely on the youtube channel of bigclivedotcom. At 2:09 he begins a detailed diagram including how regular power surge suppressors are not able to cut the power on microwave transformer jolts. He talks like an engineer and has very technical explanations as to why he says to never use a microwave transformer. 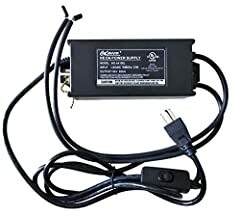 this may be a less then intelligent question but i was wondering if a house transformer would work? Like the doorbell and alarm kind? Quick question on the battery clips. How often do you have to replace those? Looks like in the vids that they get burnt quite a lot. Pleasr people do not do this experiment at home it just killed a friend of mine Feb 03 2017 at 9:30pm..
I’m not getting good results with oak. Are some woods better then others? Do you let the solution soak in for a while? Thanks! Could you use a plug in car battery charger to burn the wood? Napalm, I have watched many of your videos and have saved a lot of them for further reference. I am getting my supplies together to make my first Lichtenberg device. I am very interested in this becoming my new hobby. Thanks for your vids and advice. I will keep following and watching your vids for future advice and ideas. Who knows maybe I’ll start videoing my work as well. Thanks again! Is it possible with a 230V transformer and is it the same procedure? Dude, rig it to a safety switch and a heavy plastic project box! Be safe! Thank you man. Finally some insight., keep it up! So ever think of a coil. For older car. 60,000 volts. ?? Will that work?? 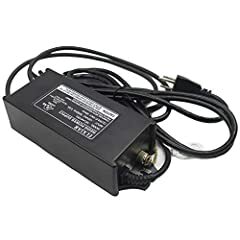 Question: did you add the spade connector on the upper coil? Looks like you just screwed it in there, right? I’m thinking about getting two microwave transformers, one a high wattage and one a low wattage and build them both to experiment with to see how different the effects are. You are showing me a whole new world of creating art. Thanks for posting your videos. I am truly enjoying them. Is that 8 gauge wire? did you put the tab on the red wire to the transformer or did it come that way? thank you for the explanation. yup, don’t want to press my luck. and thank you for the safety lessons! Excellent Video Thanks for being so informative. Got a transformer out of a microwave, and the secondary coil on it does not have a prong, just a wire coming out of it with a connector. Any reason that wouldn’t work? could you have run the ground lead straight into the cord? rather than into the transformer? I have the transformer but there is no tab to put a stakon on the secondary coil just a piece of very fine wire. can I just wire nut that?